Do you have plans for tonight yet? If not, grab a friend and two dollars and come on out to one of Mercer’s most popular events! Movies are expensive these days, but QuadWorks has you covered with Midnight Movie! The movies that will be showing today, Friday, September 11th are Straight Outta Compton, The Perfect Guy, The Visit, and The Transporter Refueled. Movies are showing at Amstar Theatre on Zebulon Rd, and the line starts at 10 pm! Straight Outta Compton tells the story behind N.W.A’s debut album, “Straight Outta Compton.” Starring Ice Cube, Dr. Dre, Eazy-E, DJ Yella, and MC Ren, this movie explores the events in the hood where the members of N.W.A. formed to bring out the truth about life in South LA through their empowering music. Even though this movie outlines events that occurred in the 80’s, its messages are still relevant and even controversial today. Come out and see how it all began! The Perfect Guy may seem like a classic story of romance on the surface, but this thriller is sure to get your heart racing. After a breakup, Leah Vaughn (Sanaa Lathan) thinks she’s found her next man in Carter Duncan (Michael Ealy) until he reveals his true self, and she realizes she may be in danger. Her ex, Dave (Morris Chestnut) may have to come back in the picture to keep her safe. You’ll have to watch to find out what happens and who she ends up with! 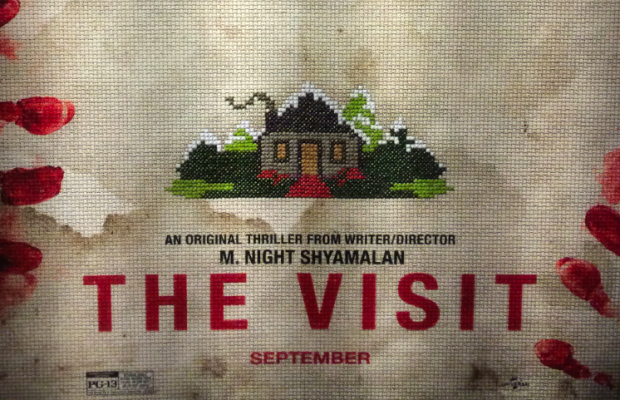 The Visit is a horror thriller that tells the story of children Becca (Olivia DeJonge) and younger brother Tyler (Ed Oxenbould) who go to visit their grandparents for the first time. Other than the suspicious instructions to stay in their room after 9:30pm, things seem normal at first, but they begin to go awry soon after their arrival. When the children discover a shocking secret, they are unsure whether they will get home safely. If you’re a thrill-seeker, this M. Night Shyamalan classic is sure to keep you on the edge of your seat. In The Transporter Refueled, Frank Martin (Ed Skrein) thinks he has a boring transportation job, but when he goes on a weekend trip with his father, his world is flipped upside down. Frank is thrust into action after his father is kidnapped in France, and he must work to get him back while outrunning a Russian kingpin. To make matters worse, he gets involved in the bank heist of the century. This sequel to the action thriller Transporter is sure keep you entertained throughout! There’s a wide variety of great movies for you to choose from. I know I’m looking forward on this Friday night! We hope to see you there!